The top court said the Supreme Court registry will not accept any petitions from lawyer ML Sharma unless he pays the fine of Rs. 50,000. 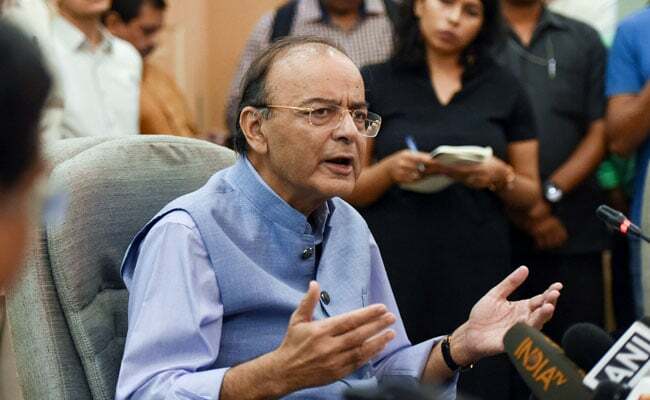 The Supreme Court Friday on Friday rejected a petition raising allegations against Finance Minister Arun Jaitley relating to the capital reserve of the Reserve Bank of India (RBI). The top court also imposed a fine of Rs. 50,000 on the lawyer who had filed the petition. The top court said the Supreme Court registry will not accept any petitions from ML Sharma unless he pays the fine. "We find no reason whatsoever to entertain this PIL(Public Interest Litigation)," a top court bench comprising Chief Justice Ranjan Gogoi and Justice SK Kaul said. "You want us to restrain the finance minister... You have done some good work. Why are you destroying your credibility," the Chief Justice told him. The bench said, "What is this PIL? You cannot go on with such misadventure. What exactly is this? You are saying the finance minister is plundering the capital reserve of the RBI. You are not bringing honour to this institution. Why do we permit you to go ahead with this PIL." KK Venugopal, the government's top law officer said the time has come to take a look at petitions wasting the court's time. Seeking action against Mr Jaitley, ML Sharma had alleged that he wanted to "plunder" the capital reserve of RBI to waive off loan to certain companies. The top court imposed the fine as the lawyer continued with the argument after petition was rejected. The top court expressed displeasure that Mr Sharma made the finance minister the main party in the petitioner.